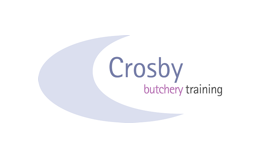 Crosby Butchery Training (CBT) delivers the highest level of butchery apprenticeship programmes with expert trainers and assessors that are Accredited Master Butchers or highly skilled and experienced butchers. We are proud to have been the first provider to register apprentices on both the butchery trailblazer and the advanced butcher trailblazer and are delivering these nationally. We work with both the smallest and largest employers and specialise in giving its apprentices a range of very varied off the job visits, activities and challenges including competitions and residential outdoor adventures.